The Delta Fire is human-caused from an unknown ignition. 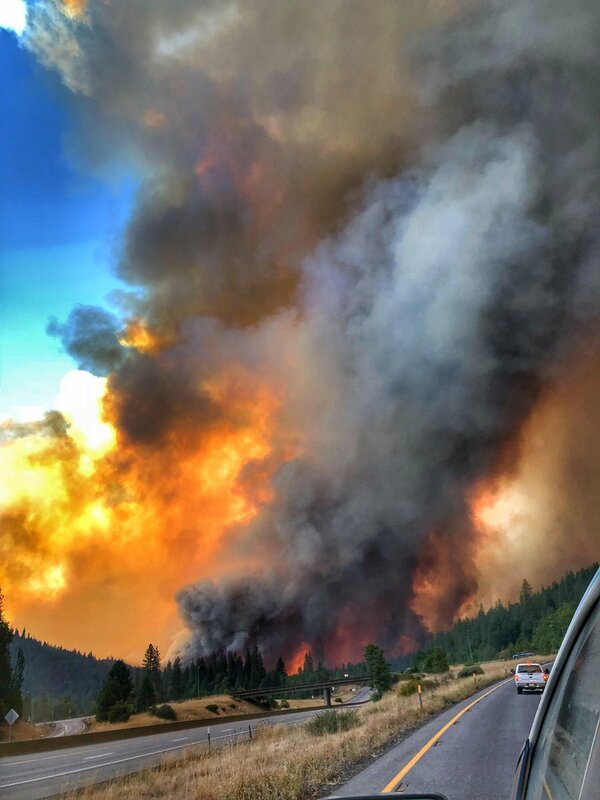 It continues to burn two miles north of Lakehead, California. There has been 49,874 acres burned and crews have reached a 5% containment status. We heard that parts of I-5 are partially open. Fire behavior is active with running, backing and spotting. Numerous structures including energy, communication and RR infrastructures are currently being threatened. There are 2,433 personnel assigned to the incident along with 77 crews, 178 engines and 12 helicopters. 2 structures have been lost. 2 structures have been lost. $8.5 Million Cost-to-date in firefighting and containment suppression costs.